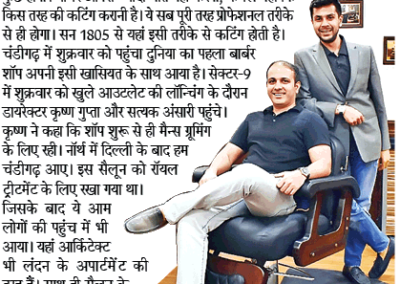 Chandigarh, 15th September 2018: Having groomed the Monarchs of Great Britain for 212 years through nine consecutive reigns, Truefitt & Hill continues the legacy by bringing their sophistication to Chandigarh at Sector 9. 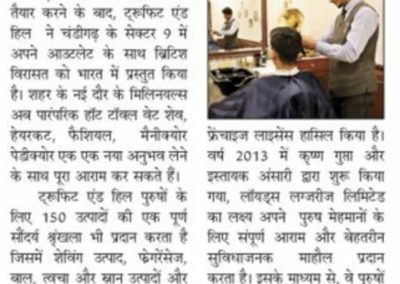 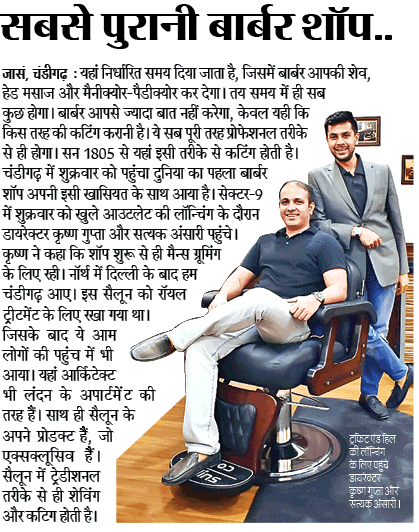 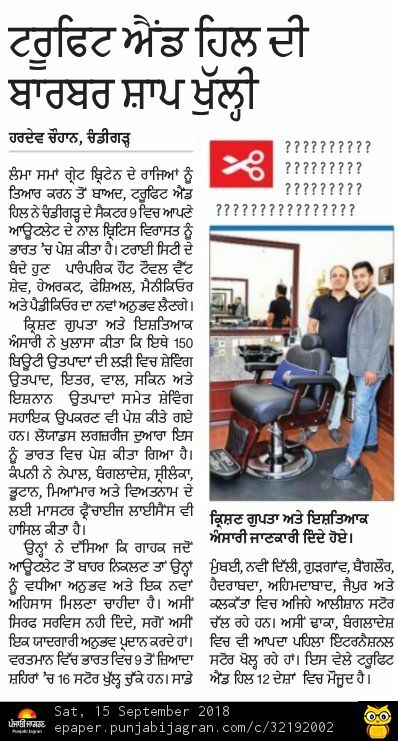 The uber millennials of Chandigarh can now enjoy a traditional hot towel wet shave, haircut, facial, manicure pedicure and simply relax and unwind. Truefitt & Hill also offers a complete grooming range of 150 products for men which include shaving products, fragrances, hair, skin & bath products and shaving accessories. 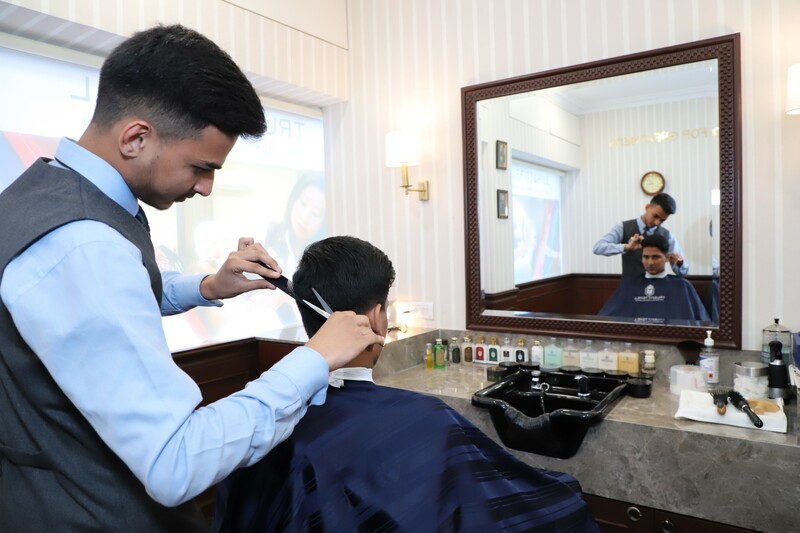 Brought to India by the Lloyds Luxuries Ltd., which has acquired the Master Franchise License for not just India but also Nepal, Bangladesh, Sri Lanka, Bhutan, Myanmar and Vietnam, the venture looks promising. 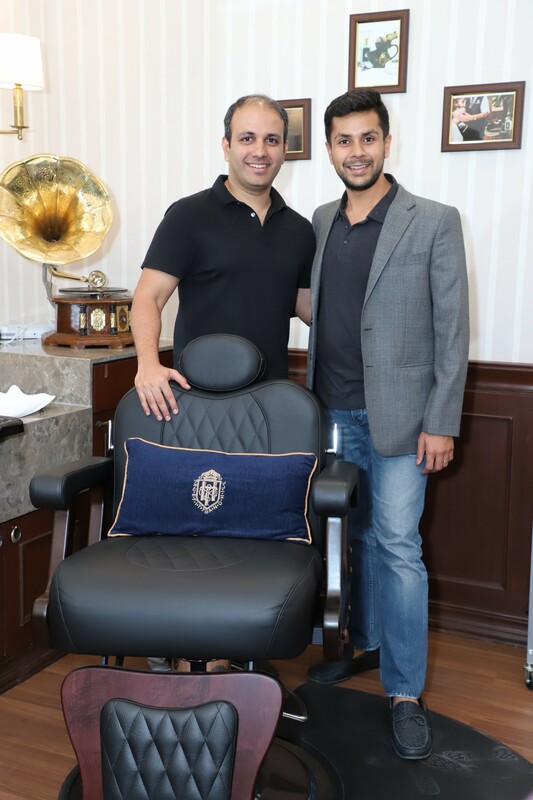 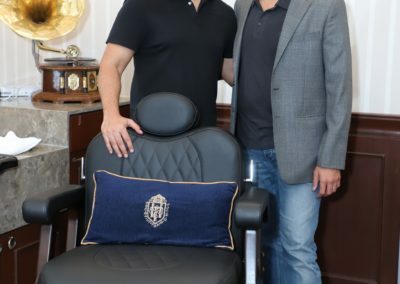 Started by Mr. Krishna Gupta & Mr. Istayak Ansari in 2013, Lloyds Luxuries Ltd. aims at creating an atmosphere of total relaxation and ultimate comfort for their male guests. 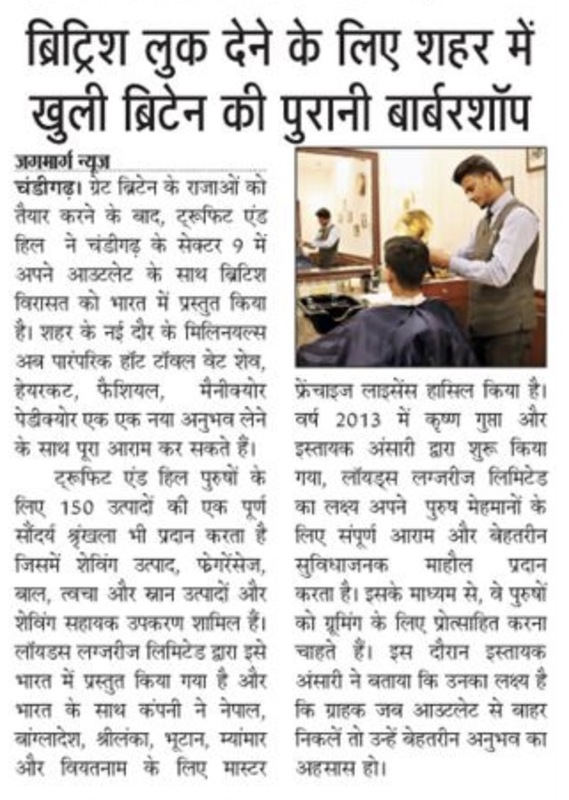 Through this, they wish to encourage grooming men for greatness. 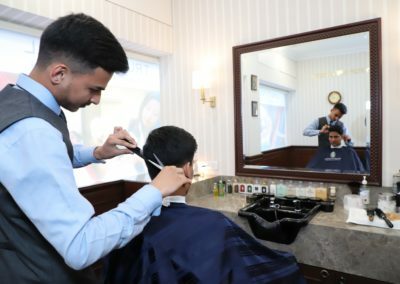 Truefitt & Hill worldwide is in 12 countries including India and present in cities: London, Canberra, Baku, Toronto, Beijing, Shanghai, Seoul, Salmiya, Kuala Lumpur, Singapore, Bangkok, Chicago, Washington.